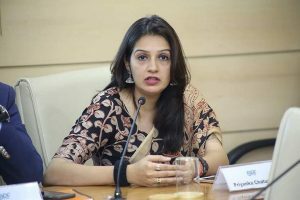 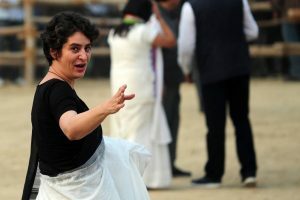 The action of rescinding the suspension, party leaders claimed, was taken on the recommendations of Congress general secretary for West Uttar Pradesh Jyotiraditya Scindia. 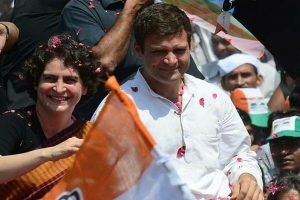 In the 2017 assembly election, 2 out of 7 seats won by Congress were from Saharanpur district. 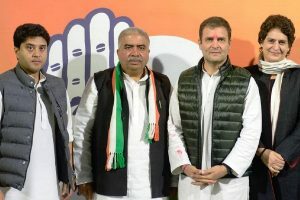 Kumar Ashish was appointed to the position by the Congress president Tuesday night along with five more AICC secretaries for Uttar Pradesh. 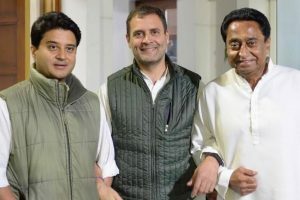 Rahul shared his personal number with Siddharth and told him to call in case he needs any help and support from him and promised every possible help. 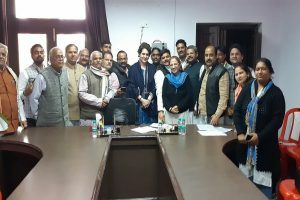 In an adjoining room, Congress General Secretary for Uttar Pradesh West Jyotiraditya Scindia held meetings with leaders from the constituencies in his charge. 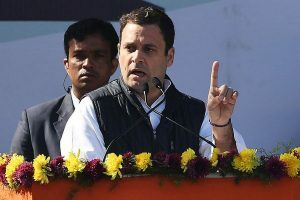 Referring to the Rafale deal, the Congress president said the important clauses had been deleted to ensure that Anil Ambani gets to benefit with Rs 30,000 crore. 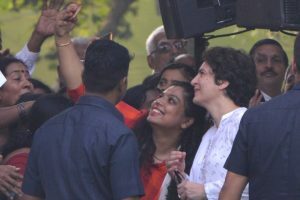 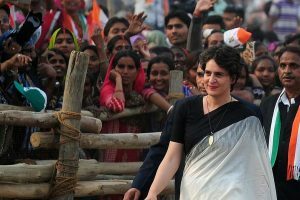 Priyanka’s high profile visit is being viewed by the Congressmen as the first step towards the party’s revival in this politically important state. 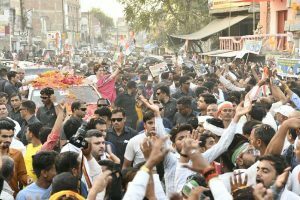 Priyanka Gandhi Vadra’s high profile visit to Lucknow begins on Monday with the UP Congressmen viewing the event as the first step towards the party’s revival in this politically important state. 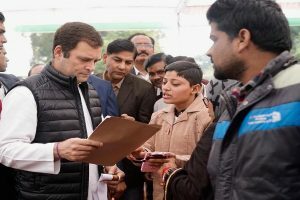 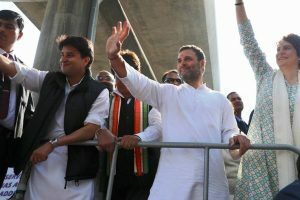 Rahul Gandhi will accompany Priyanka Gandhi Vadra and Jyotiraditya Scindia to Lucknow on February 11, on their first trip to the state after taking over as Congress general secretaries. 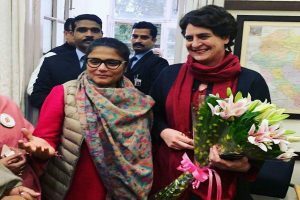 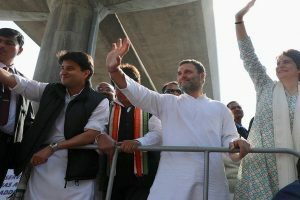 Riding high on confidence after the appointment of Priyanka and Jyotiraditya Scindia as general secretaries of UP East and UP West respectively, Gandhi said he has given them a mission to form the government in the state. 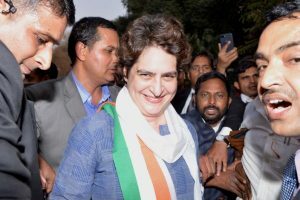 Priyanka's appointment comes as a major challenge for Prime Minister Narendra Modi and UP CM and BJP’s star campaigner Yogi Adityanath in the state. 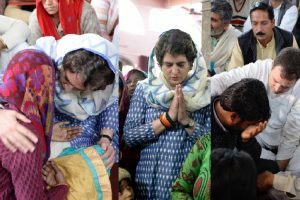 Winning a state is one part of the success story but the aftermath also needs to be taken care of. 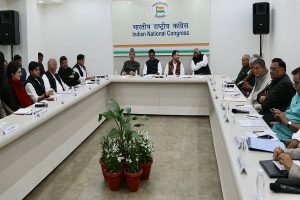 This is where chief ministers need to be picked carefully.